Join the Fairfax County Restoration Project in their efforts to clean up Americana Drive! Gloves, vests, and trash bags will be provided. Student community service hours are available through the Friends of Accotink Creek. Please sign up so the organizers can prepare enough supplies. 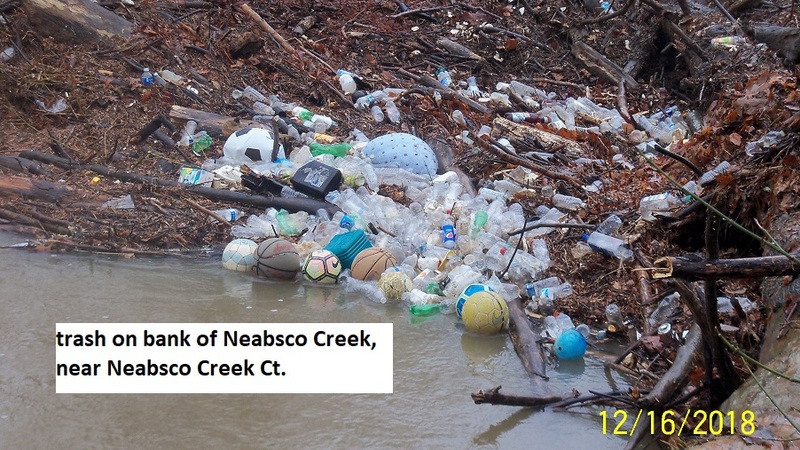 Join Prince William Soil and Water Conservation District for a Quantico Creek cleanup in the Town of Dumfries in support of water quality awareness and plastic prevention. This event has been organized as part of the commemoration of the history of the Town of Dumfries. Cleanup supplies will be provided. Dress well for the weather and put on boots. Register with Sonnie Coffey. Promote water quality and plastic pollution awareness around the newly constructed Woodbridge Boardwalk. Join the water quality awareness campaign and give a treat to this scenic site of the Potomac Heritage National Scenic Trail. Prince William County residents are invited to come out en mass at Eagle Park in Woodbridge. To register, please visit Prince William Trails and Streams Coalition website. Join the Merrimac Farm Master Naturalists, Friends of the Square, Keep Prince William Beautiful, and other Prince William County partners to keep the stream corridor near the Bull Run Shopping Center clean under Prince William Soil and Water Conservation District’s (SWCD) Adopt-A-Stream program. Great for student community service hours. Light refreshment will be provided. Volunteers should come dressed for the weather, with boots and clothes they don’t mind getting dirty. Learn more and RSVP to Prince William SWCD.